Our work “Identification and directed development of non‐organic catalysts with apparent pan‐enzymatic mimicry into nanozymes for efficient prodrug conversion” has just been published in Angewandte Chemie International Edition. Nanozymes, nanoparticles that mimic the natural activity of enzymes, are intriguing academically and are important in the context of Origin of Life. However, current nanozymes offer mimicry to a narrow range of mammalian enzymes, near‐exclusively performing redox reactions. In this work, we present an unexpected discovery of non‐proteinaceous enzymes based on metals, metal oxides, 1D/2D‐materials, and non‐metallic nanomaterials. Specific novelty of our findings lies in the identification of nanozymes with apparent mimicry of diverse mammalian enzymes, including unique pan‐glycosidases. Further novelty lies in the identification of the substrate scope for the lead candidates, specifically in the context of bioconversion of glucuronides, that is, human metabolites and privileged prodrugs in the field of enzyme‐prodrug therapies. 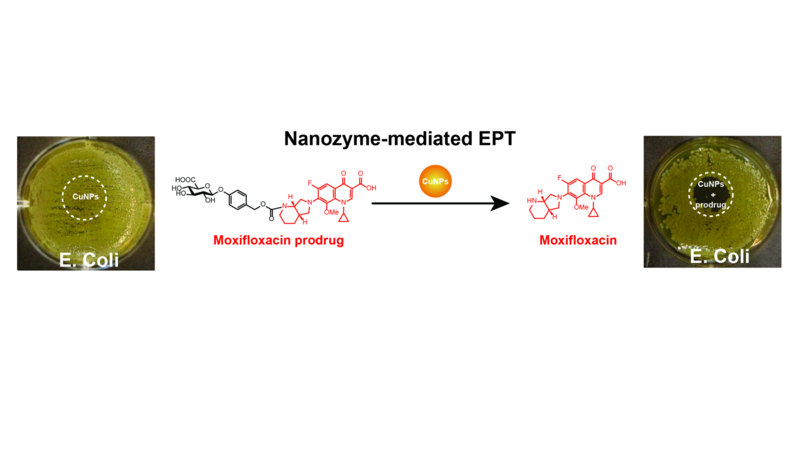 Lastly, nanozymes are employed for conversion of glucuronide prodrugs into marketed anti‐inflammatory and antibacterial agents, as well as “nanozyme prodrug therapy” to mediate antibacterial measures.